Painted mission-brown, and made from galvanised steel, our gutters probably came with the house in 1965. However, as much as I love mid-century modern, gutters that leave puddles of water in front of the back door for me to step in, instead of delivering said water into the water tanks, is not cool. They had to be replaced, and soon. Cheap Geek and I opted for continuous guttering in Colourbond steel. 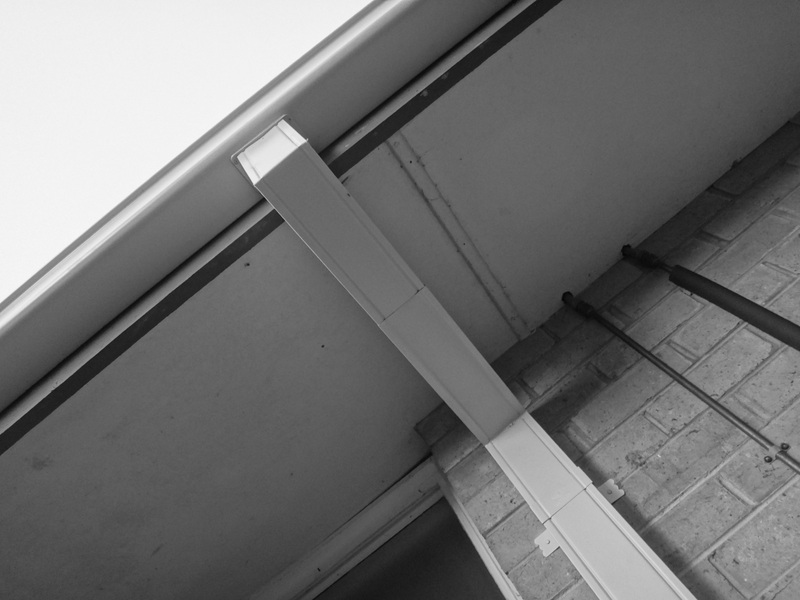 It was a little bit more expensive than the traditional ‘stick-length’ guttering, but it meant less wastage on installation. We also requested wider-than-standard downpipes. Downpipes with a large diameter should be able to cope better with a future climate-change-related ‘increase in the number and intensity of extreme rainfall events’ (via CSIRO)*. Wider-than-standard downpipes installed in anticipation of climate change related weather weirdness. …no matter how you dry clothes, you have to put in energy from somewhere to evaporate the water. Dry things outside and that energy comes for free from the Sun and the wind. Dry things on indoor radiators and the energy comes from your stove, gas boiler, or heating system. The laws of physics tell us that you cannot dry clothes for free indoors: the energy has to come from somewhere. So drying the clothes on a non-leaky porch should, in theory, help reduce our heating costs. New guttering FTW! *Thankyou Michael Mobbs for highlighting the need to prepare for climate-change-related storm events. According to the daily doom and gloom, an El Nino is here to stay. It’s time to start installing water-saving technologies if you haven’t done so already. At the Mustbethrifty House, we’re making the most of the last bit of rain by putting in rainwater tanks. The tanks are made from plastic. In terms of longevity and disposal, plastic tanks aren’t as environmentally friendly as stainless steel ones but they make the cost of the initial setup much more affordable. I’m hoping that by the time I need to replace my water tank, I’ll have a ‘good job that pays good money’ for good stainless steel water tanks (or a house in Sydney or whatever). If tank water is used for your garden alone, your tank will remain full and unused during the winter months when your garden does not require watering. 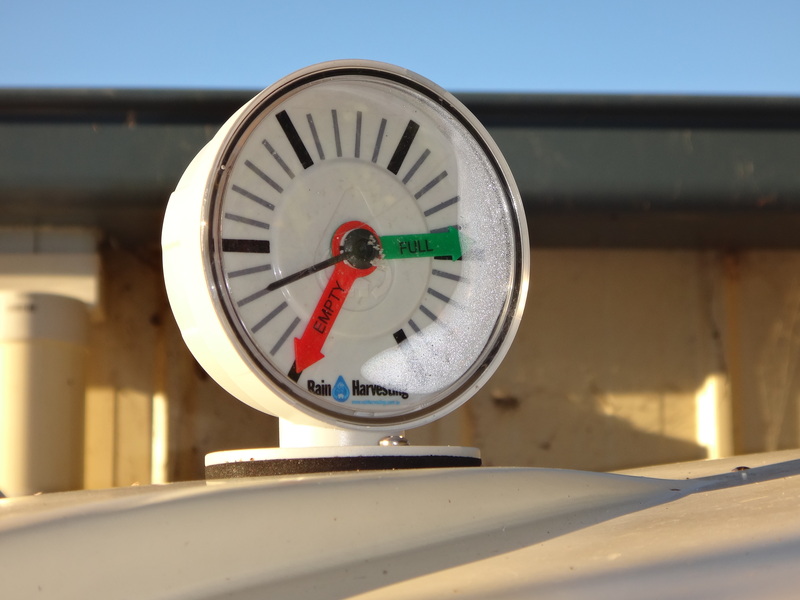 With a full tank, your capacity to capture and store the regular winter rainfall and thus benefit the local waterway is significantly reduced. By plumbing your rainwater tank to your toilet or laundry, your tank water is used consistently all year round allowing rainfall to refill the tank more often especially in winter. This ultimately reduces the volume of stormwater that is delivered to the stream and the quantity of pollutants that are washed with it. 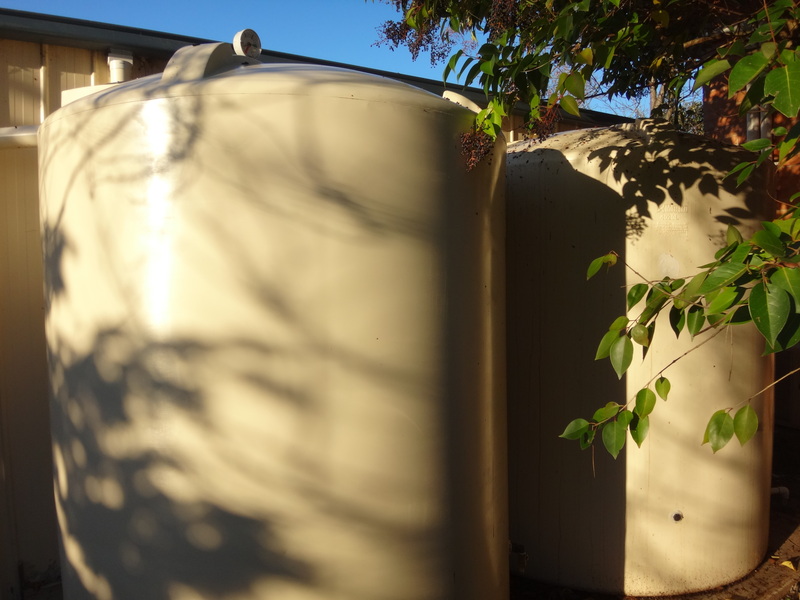 A water tank is a large economic investment that may not necessarily give much return in dollars and cents. We’re installing these babies more for feel-goodness with the hope that they will add value to our property. If you want to save money as well as water, you’re better off replacing your showerhead and or toilet with more water-efficient models. The ATA reiterates this in their free report on the economics of water-saving technology and it is a fascinating read for the mustbethrifty. The economic argument for replacing showerheads/toilets is even more persuasive if you factor in the incentives/rebates that are still kicking around from state and local governments. But you’ll have to be quick to make the most of it: June 30 quick that is. 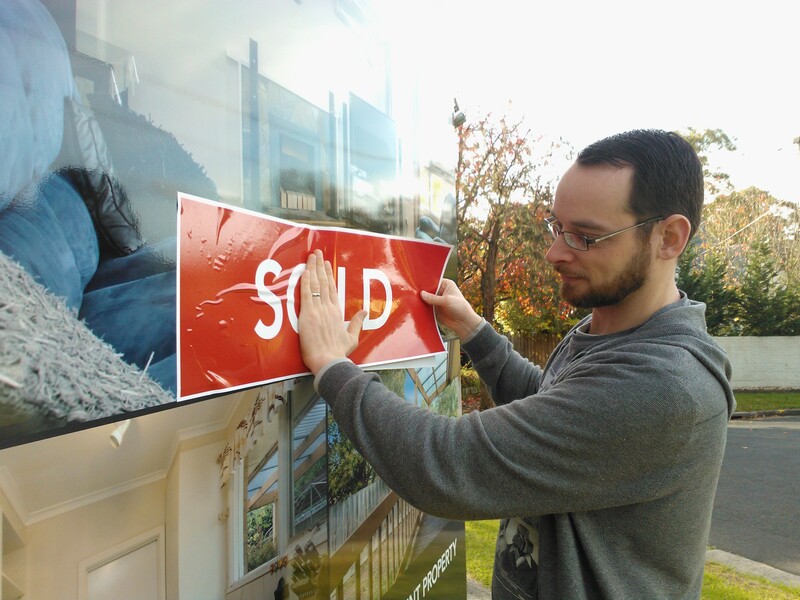 Last year, I mentioned double glazing as a way to keep the summer heat out and the winter heat in. 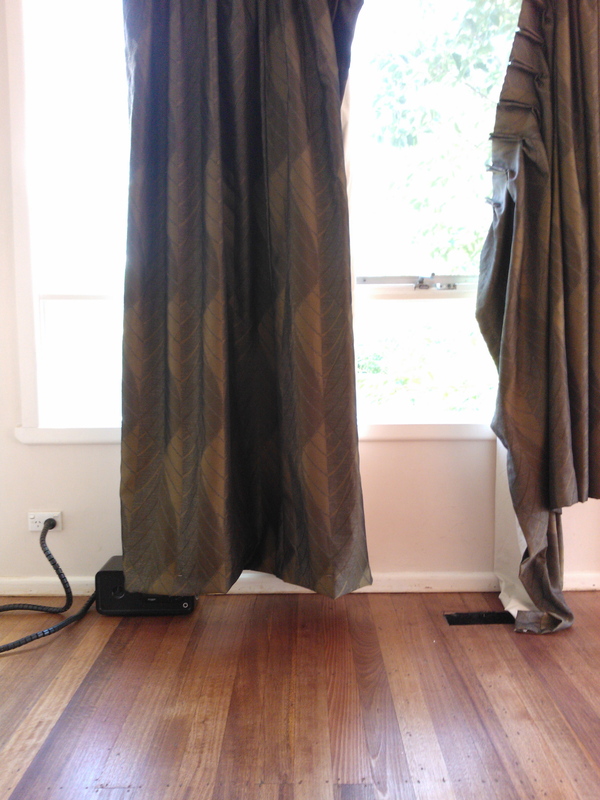 A much more cost-effective option, however, is the use of curtains. Curtains and blinds help prevent heat loss and gain by trapping a blanket of air next to the window. The best results come from ‘fabrics that insulate well, for example heavy fabrics or curtains with thermal lining or layers’ (via Your Energy Savings). Thanks to the power of Google, we were able to source some quality secondhand curtains. There’s a store called Johnny’s Furniture in Eumemmerring (Dandenong) which stock ex-hotel furniture. They sell piles of Sheridan/Mantra/Hilton cast-offs, so we were able to get matching curtains made from heavy, tightly woven fabric. Unlike a lot of the ready mades available from Ikea and fabric stores, these ex-hotel curtains were also lined. They were a bit longer than what was needed, so Mum spent a few mornings furiously hemming away. Dad was also nice enough to replace the mismatched curtain rails with uniform tracks. While we don’t have quantitative temperature comparisons*, we’re observing a difference in comfort levels. When the curtains are not closed in the afternoon, you can really feel the sun’s intensity in front of the west-facing window. Pull the curtain across and the heat/glare reduces noticeably. For our north-facing windows, we’ve also had adjustable awnings** installed. We picked adjustable awnings that created good shade and suited the house’s mid-century architecture. ‘When a window is hit by direct sunlight, heat comes in and the window is a source of heat gain. When a window is in shade, heat from inside will leave, and the window becomes a source of heat loss’ (via ABC’s Carbon Cops). 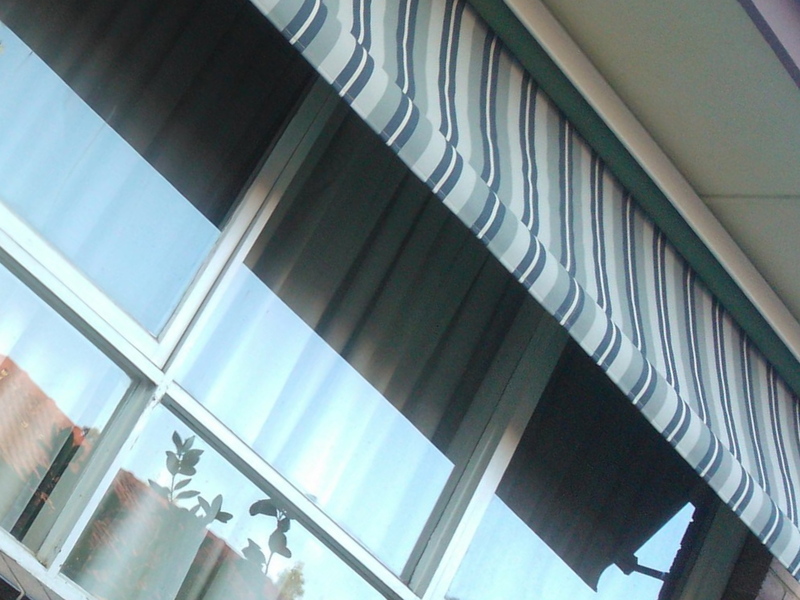 Therefore using awnings in summer reduces direct solar gain and encourages heat loss via transfer/convection. And according to Sustainability Victoria, our choice of thick, opaque fabric means better shade. Squee! Next step is figuring out how to retrofit invisible pelmets (or something similar) to reduce heat loss/gain from thermal convection. **We chose adjustable awnings because we wanted to be able to harvest as much sunlight in winter, maximising direct solar gain. When we moved last year, I had planned to document the sustainable updates done to the new house. I must have dropped those plans off at the local op shop, along with all the clothes Cheap Geek and I had outgrown. And life, like the blog, feels like it’s come to a stop. It hasn’t of course. Mum and Dad altered and installed some heavy-duty ex-hotel curtains to replace the threadbare sets inherited from the previous owner. Instead of splurging on new furniture, we splurged on energy and water efficient white goods. A local business made and installed some external awnings for our north-facing windows. I’ve turned the side garden beds along the driveway into pockets of edible garden and planted fruit trees such as ballerina apples, pomegranate, nectareze, and a nagami cumquat. And we’ve rented 2 pekins to try before we buy into the keeping chooks lifestyle. Cheap Geek and I are also in the red, having spent too much money on the house/the move. We have not yet adjusted to the higher mortgage repayments; this has got to change. 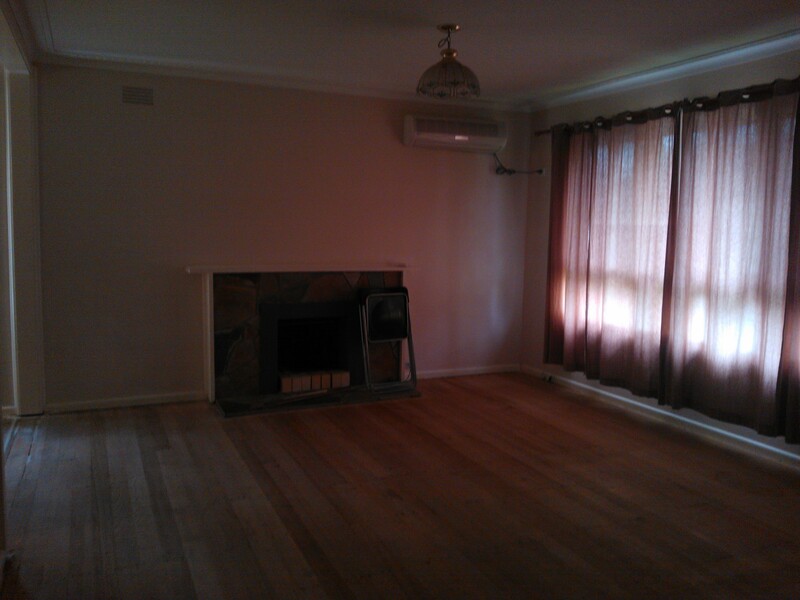 Our new house had floating floorboards made of some blondish-coloured wood veneer. They looked cheap and brought about a vehemence rarely seen in my mild-mannered Cheap Geek–’I hate these floors’, was pretty much the first thing he said when we first inspected the house. So while keeping the floating floorboards was the most economical and environmental option, they had to go. Hardwood floors hidden under carpet, lino, and floating boards for nearly 50 years. 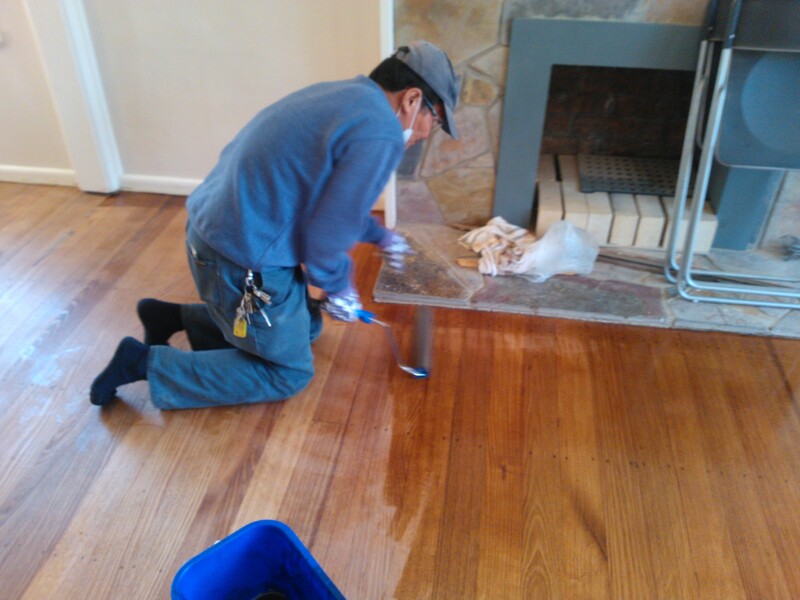 We used Livos Kunos natural oil sealer with a walnut stain to protect the floor and bring out the grain of the wood. Livos uses food-grade natural oils and claims that their products are ‘biologically degradable, sustainable…and harmless, even in direct contact with humans, animals and plants’. Hopefully, this translates to better indoor air quality, something that may be important later on when our improvements make the house ‘less leaky’. Livos Kunos natural oil sealer also don’t require re-sanding on reapplication, which is an added bonus. No need to waste more time/money/energy on sanding: a few drops of Livos and a buff with a rag is all that is required. Our sand and polisher was reluctant to use Livos as she was not familiar with the brand, so we ended up doing much of the application and buffing ourselves**. Dad applies the Livos with a paint roller. The DIY process is fairly easy, requiring mostly elbow grease and some basic tools. Three coats are needed and each coat takes 24-48 hours to dry. The smell of the drying sealer reminds me of pine tar or menthol; it’s much more bearable than some of the varnishes and sealers I’ve used in the past. 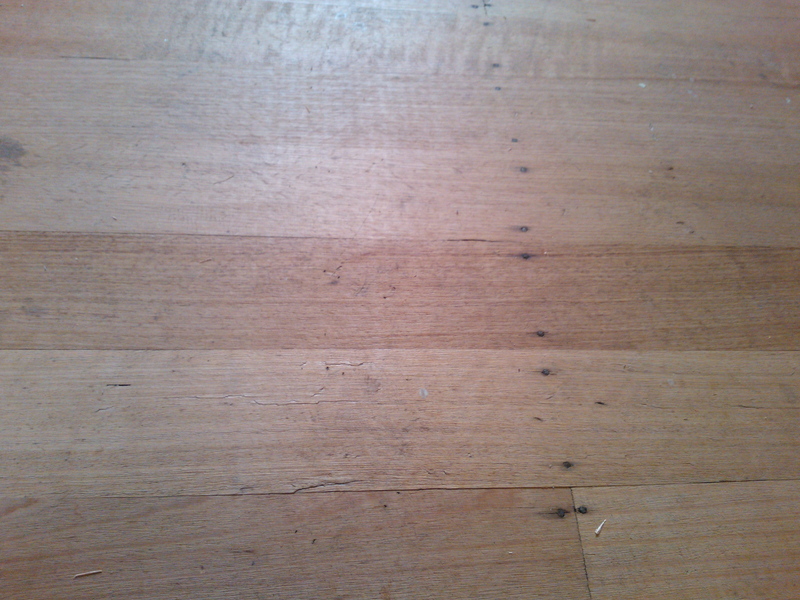 Three coats have resulted in beautifully stained floors. There is a slight sheen on the surface but unlike polyurethane, oil sealers like Livos do not leave a shiny film on the floor. The floor feels silky to touch: smooth with a touch of resistance. Results after 3 coats of Livos Kunos natural oil sealer (walnut stain). The floors take 4 to 6 weeks to cure but we’ve already moved in, giving them just a little bit more TLC than usual. **The sand and polisher ended up giving us a discount for doing some of the work for her. Three years have past since my first mustbethrifty post. 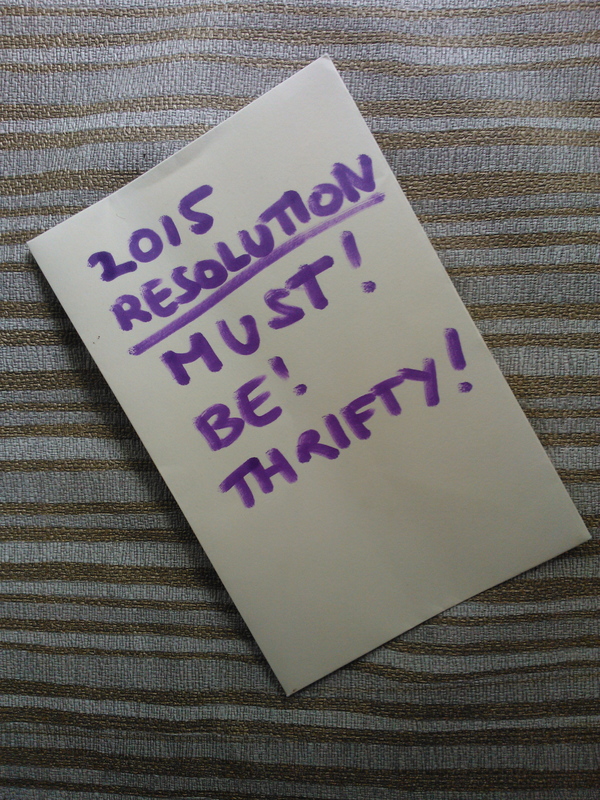 In my quest to save money and resources, I’ve done things my pre-mortgage self never considered doing: getting multiple quotes, researching products, putting up with housemates, clothes and food swapping, scavenging and borrowing, mending and altering. I’ve finally learnt how to become comfortable with my mortgage. Now, after nearly five years with my first mortgage, I am about to sign up on a second mortgage, this time hand-in-hand with Cheap Geek. We will be moving out and ‘living the dream’ of house and land (and chickens).